Right Away Rubbish Removals provides waste removal services for commercial clients throughout Sydney including the Eastern Suburbs, Inner West, Hills District, Parramatta, North Shore right up to Manly. We cover most areas of Sydney and are known for our punctuality & reliability. 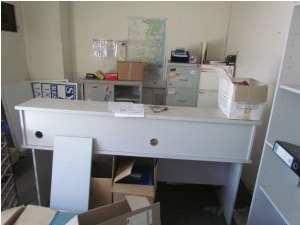 If you have any type of commercial rubbish or waste that needs cleaning up that same day we are the perfect rubbish removals team in Sydney. Make sure you ask us about our fantastic rubbish removals rates – there is 1 promise we will make to you and that’s we will not be beaten on price. Find it cheaper from any other rubbish removals company and we will beat it! Commercial builders use our services to remove the waste from their building and renovation projects. A builders’ time is valuable, so we accelerate the waste removal process by offering a prompt and reliable service to all areas of Sydney. 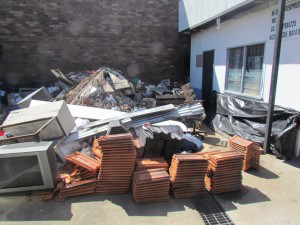 Whether it’s bricks, dirt, concrete, discarded packaging, garden waste, timber, old carpets, gyprock, broken equipment, tiles, basically any type of commercial waste or rubbish that’s built up or accumulated on the commercial building site, we will get rid of it for you. If your a builder and working on a commercial project or property and need the best commercial rubbish removals team in Sydney to make your life a lot easier make sure you give us a call and we can be there helping you get rid of all that rubbish seriously quickly. If you operate a business that requires regular waste removal, Right Away Rubbish Removals can schedule a regular waste removal service, set at a convenient time for you and your business. Whether it’s short-term or under annual contract, we have a waste management solution to suit all your needs and budget.